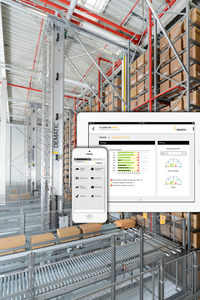 Dematic introduced its new automated warehousing software platform - Dematic iQ - at the CeMAT show in Germany. Dematic is a supplier of logistics systems for the factory, warehouse and distribution centre. The Dematic iQ is its next generation software platform. With the exponential growth of digital data, Dematic has designed the platform to put itself at the forefront of leveraging this information to deliver actionable business intelligence. 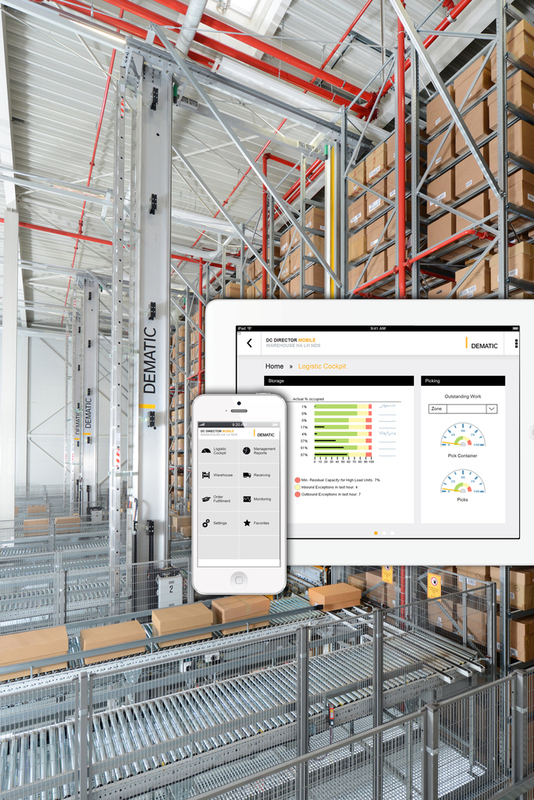 Dematic iQ extends beyond traditional warehouse control systems into knowledge-based logistics optimisation and provides customers with a real-time, knowledge-driven fulfilment platform for competitive advantage. Developed as a scalable and modular platform that will accommodate manual processes through highly automated systems, Dematic iQ addresses all fulfilment centre business processes with robust functional modules. An advanced data management layer empowers Dematic iQ to intelligently harness and centralise data from diverse software and controls sources, delivering information in real-time via user-friendly dashboards. Built on an open architecture, Dematic iQ can integrate easily with existing infrastructures for access to logistics and data services for deployment on-site or off-premise. With Dematic iQ, customers will get end-to-end solutions comprised of the optimal mix of software, services and automation technology. 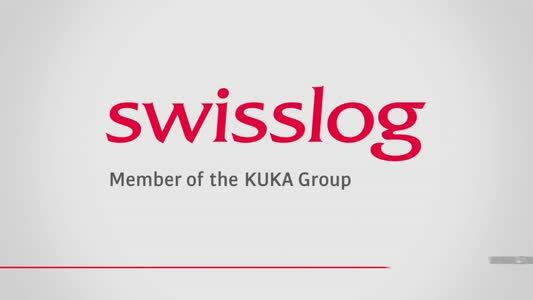 It provides a better user experience and delivers the real-time insight needed to make smarter decisions, lower cost and create a more efficient supply chain network. Products in action at CeMAT included the RapidPick goods-to-person work station connected to a Dematic Multishuttle 2, inventory staging buffer. In addition, a light directed put wall with packing work station was displayed. Each order fulfilment solution supports increased pick rates, order accuracy and worker ergonomics. Of particular importance to the end user, these solutions are compact, reduce order cycle times and support high inventory accuracy rates. 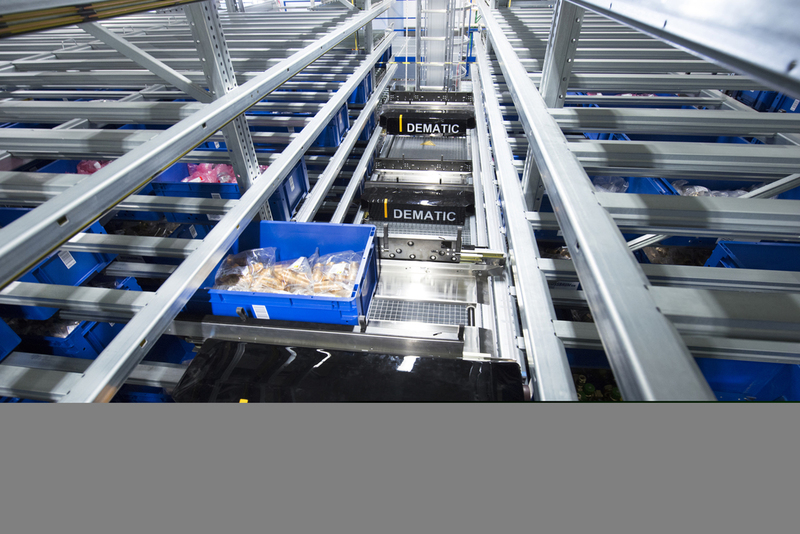 Dematic order fulfilment solutions range from non-mechanised to highly automated and are appropriate for small to large companies operating in a wide variety of market sectors including e-commerce, retail, apparel, food & beverage, 3PL and manufacturing. In addition, companies that have multiple channels to the market can see modular and scalable solutions to support their omni-channel strategies. Another highlight is the presentation of the new Dematic FlexSort SC3 Crossbelt Sorter, a high rate, high accuracy sorting solution for distribution and warehousing operations. FlexSort SC3 provides precise positive sorting of poly bags, stuffed envelopes, cartons and totes using discrete belt conveyors mounted on carriers. Typical items sorted include apparel, general merchandise, books, CDs, DVDs, electronics, toys, and industrial supplies. Items to be sorted are tracked and controlled through the induction, transport and off-load process with precision. The items are sent to different destinations according to the business rules established for each application. The Dematic Service also includes planning, consulting and solution development and ends with the handover of the plant. As a total supplier of internal logistics Dematic aims to ensure the ongoing efficiency and availability of the facility by utilising a competent after-sales service team. With all-round and on-site services, the life of assets can be extended. Inspection, maintenance, security checks and call service ensures the minimisation of downtime and the increase of throughput, productivity and return-on-investment of the plant.